How is a Dental Discount Plan Different From Insurance, and What's Better? How Is it Different From Insurance? Many people confuse a dental discount plan (or dental plan) with dental insurance. The names sound similar and often substituted for each other. And the benefits they provide can look similar, too. But they are not the same. A discount dental plan is NOT insurance. It is an ALTERNATIVE to dental insurance. My husband likes to say that the difference is found "under the hood". What he means is that in real life most people (and probably you, too) just want to save money on dental care or cosmetic dentistry treatments. And both of these may help you do that, but they do it in different ways. I'm going to try and take away some of the confusion, and enable you to become a more informed consumer. Plus, I'll also share a couple of resources to quickly compare your options and find the discount dental plan or dental insurance that meets your needs. Dental insurance, similar to other kinds of insurance, is a product that exists to protect you from risk. That's the contract, the agreement, between you and the insurance company. You pay a periodic fee called a premium. If anything terrible happens (as listed in the insurance agreement/contract), the company pays for all (or most of) the loss, and helps make you whole. Car insurance, fire insurance, even life insurance work like this. That's also the basic nature of dental insurance. Discount dental plans (also called dental savings plan, dental plans, etc.) do not cover risk. They provide benefits such as discounts for common dental treatments. To repeat: To a consumer they look almost the same because the bottom line is that the patient spends less money for dental care. Here's where the "under the hood" differences become easier to see. You pay the dental insurance company to protect your from risk. It collects small premiums from thousands or millions of policy holders and agrees to pay them if specified risks happen. Part of the money is used to cover it's overhead, part of it is profit, and part of it is set aside in a reserve fund and only used to cover claims (your root canal, treating gum disease, etc). You pay the dental plan company a fee to join their membership service, which is not much different from joining Costco. The dental plan collects a small fee from thousands or millions of members. Instead of paying a claim, it negotiates a long list of discounts (your root canal, treating gum disease, etc.) for you with participating dentists. Part of the money is used to cover it's overhead, part of it is profit, but none of it is set aside in an separate reserve fund to cover claims... because it is NOT an insurance company. The yearly fee for a dental discount plan is typically much lower than yearly premiums for dental insurance because of this reason -- dental plans do not have an obligation to set up the extra reserve fund to cover claims. The fee for discount dental plans pays for the work they do to build and maintain the savings-network between dentists and members like you. An insurer calculates the odds that not all of its customers will have an emergency at the same time and builds a profit around that. A dental discount plan won't have many of these kinds of limitations, unless it negotiates something like "free" preventative care. In which case, the dentist has agreed to do it for free. Then it would limit it to one or two preventative visits per year maximum, which is understandable. Also, dental plans offer pre-negotiated discounts. 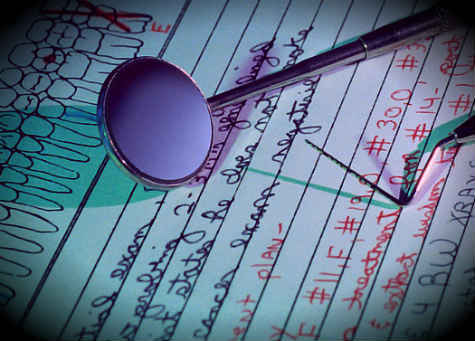 So many of the limitations found in dental insurance don't make sense here. It would be like Costco saying your yearly membership only allows you to save $1,200; but no more. Last thing about Discount Dental Plans: Because they negotiate discounts with dentists, you can often find benefits (i.e. discounts) for treatments not covered by dental insurance. For example, you may be able to find a network dentist that offers a discount on teeth whitening, veneers, or other purely optional, non-medically necessary cosmetic procedures! That's a personal preference. However, you could own both at the same time. Many people do this. Here's a simplified example, why. It could be possible that your discount dental plan gives you a nice discount on your needed procedure, while your dental insurance helps take care of the balance. Or, vice-versa. Of course, in a situation like this you'd pay more to own both a discount dental plan and dental insurance, but depending on the kind of dental work you want done, how many people in your family, and the benefits you receive from each, it could work in your favor. You have many companies to choose from whether buying dental insurance or a dental savings plan. The trouble you'll run into is with so many companies, and each one with 2, 3, 4, or more plans, researching each of them one-by-one can get complicated! Your best bet is to use a specialized comparison site. Remember, discount dental plans and dental insurance are NOT the same, but both can save you money, which is what you really want. Here's a suggestion: if you're looking at both discount dental plans and dental insurance, search for them separately at first. Then when you've narrowed down your choices to one or two each, compare the discount dental plans and dental insurance side-by-side, then choose the one that meets your needs best. Type in a zip code and choose to individual or family and you'll get a list of discount savings plans available in your area to compare. Type in a zip code to get started and follow their simple steps, you'll get a list of dental insurance plans in your area to compare. Here's one more tip: Most people use eHealthInsurance to compare health insurance (you could do that, too), but when you get to their site look for the button that says "dental insurance", it'll take you straight to their dental insurance options.